The astonishing first photo of a black hole, revealed Wednesday by the team behind the Event Horizon Telescope, opens up new avenues for researchers to probe more deeply into the inner workings of these extreme and fundamental aspects of our universe. Why it matters: The major announcement that scientists have finally caught one on camera, so to speak, paves the way for the pursuit of new avenues in astrophysics that will probe the nature of gravity, scientists tell Axios. This work may reveal limits to Albert Einstein's theory of general relativity. Details: One focus for scientists going forward will be trying to observe and understand the powerful jets of radiation and ultra high-speed particles that are ejected from near the black holes at close to the speed of light. It's thought that black holes are the source for some of the most energetic particles in the universe, known as cosmic rays. 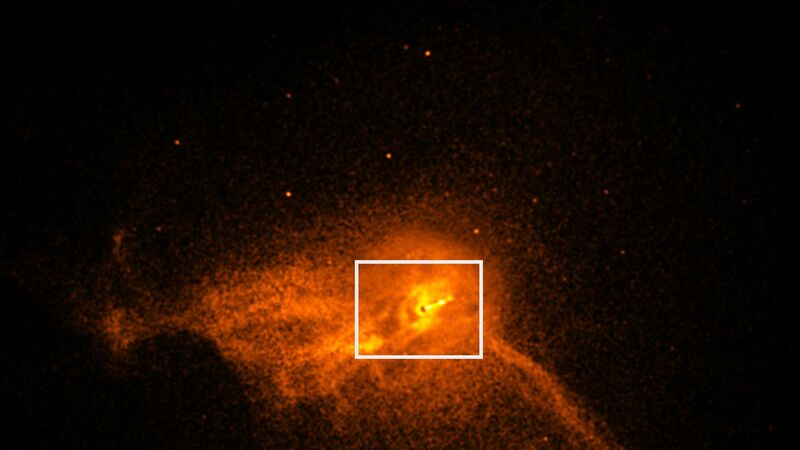 Context: The photo, taken by the Event Horizon Telescope, shows the shadow of the Messier 87 (M87) galaxy's supermassive black hole surrounded by a ring of light near the object's event horizon — the point at which nothing, not even light, can escape the gravitational pull of the black hole. The ring consists of superheated gases known as plasma, which forms as a result of the black hole's immense gravitational field. The material headed toward Earth appears brighter than the side moving away. What's next: Sera Markoff, a member of the EHT science council and theoretical physicist at the University of Amsterdam, tells Axios that even with the new discovery, scientists are still limited in their understanding of black holes. "I’m very interested in this interface with theoretical physics, and what are black holes really?" Markoff tells Axios. "We know that Einstein was right in a general sense, but we don’t actually understand why gravity works the way it does on a really microscopic level. How does it function? Gravity is not a force like the others … general relatively explains how it works, but it doesn’t answer the why." Markoff says the jets that are "literally rooted in the black hole" could be used to figure out something fundamental about the nature of space-time. "So we’re not there yet, but there’s just so much that’s going to come out of this," she says. The intrigue: "The most exciting thing we could possibly do would be to supplant Einstein, to find that in this extreme gravitational laboratory that there’s something a little new," Avery Broderick, an astrophysicist with the EHT team, said at the press conference. "The problem of quantum gravity remains unsolved with the current tools that we have. Black holes are one of the places to look for answers," Broderick said. Where it stands: Currently, EHT consists of 9 radio telescopes at 7 sites, including those in Antarctica and Greenland. The EHT team is planning to add 2 more to the mix by 2020 and is putting together proposals for a space-based telescope to boost capability for probing the secrets of black holes.